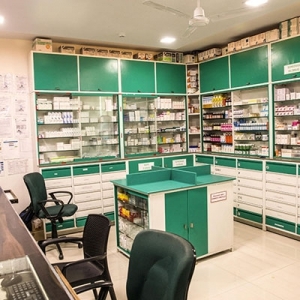 We have a In-house fully equipped Onco dedicated Pharmacy which stocks all kinds of drugs necessary for treatment and post treatment. 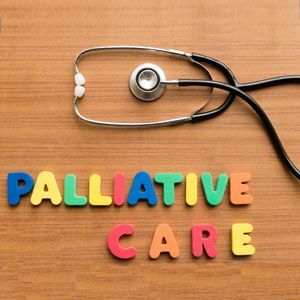 The Pain and Palliative Unit at the hospital uses a multi-disciplinary approach in the assessment and diagnosis of patients, resulting in the best treatment plan for each patient. The pain clinic is managed by a team of experts from anesthesiology, clinical psychology / psychiatry and physiotherapy. This multi – nodal approach uses a combination of drugs, nerve blocks, radio frequency ablation, stimulation / relaxation therapy, intramuscular stimulation, psychological counselling, physical therapy and surgery. We do provide accommodation for patient's relatives (long/short term) at reasonable rates. 12 Bedded ICU Unit- Our Intensive Care Unit (ICU) is a specialized facility dedicated to patients who require intensive monitoring, nursing care and complex respiratory support. The ICU is staffed 24 hours a day by board-certified specialists and seasoned critical care nurses, nurse practitioners and physician assistants, who are committed to providing the highest level of clinical care. This facility leverages advanced technology to ensure patient safety. Patients’ vital signs are transmitted to a central nursing station manned around the clock by our qualified nurses, so the ICU team is able to respond to any changes swiftly and efficiently. The ICU is also positioned in close proximity to the operating theaters so patients can receive emergency treatment in the shortest possible time. The High Dependency Unit (HDU), or step-down, progressive and intermediate care unit, is for patients who require a higher level of observation, treatment and nursing care than that offered in a general ward but do not require admission into intensive care. For those moved into the HDU from the intensive care facilities, this move is often seen as a welcome sign of progress as it is means that the patient is improving, gradually establishing more normal eating and sleeping patterns, and is a step closer to going home. Semi Private Rooms are shared by 2 patients with an attached bathroom and a LED TV. Privacy can be maintained using the curtains. Patient's relative accommodation in this room is not available. Private rooms is dedicated only for one patient along with one family member accommodation in the room. The room has LED TV, pantry, Attached bathroom and WIFI. 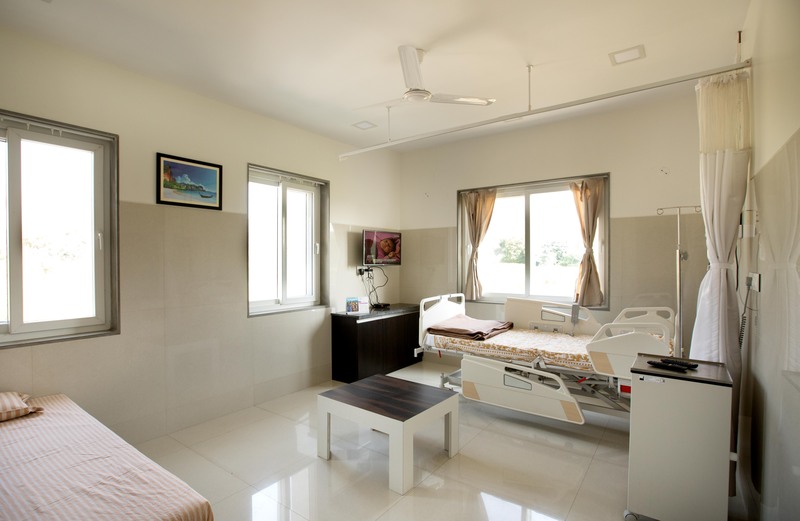 Suite Rooms is dedicated only for one patient along with 2 family members accommodation in the room. The room has LED TV, Pantry, Attached bathroom, Attached Balcony and WIFI. A cancer diagnosis brings along a lot of questions about nutrition and diet. Proper nutrition is essential for well being during and after cancer treatment. Research proves that proper nutrition is an important factor in boosting immunity and helps in preventing cancer, as well as increases the effectiveness of cancer treatment. A balanced, nutritious diet has been found to not just help the body cope with the stress of illness but also aids in the recovery process. A well-formulated diet plan can help you maintain your weight during your cancer treatment. In addition, it will ensure that your body has the right amount of hydration and nutrients that it needs for its repair and healing. At Onco-Life Cancer Centre, all cancer patients are given access to safe, evidence-based, metabolism-focused nutrition therapy, to help increase the effectiveness of therapy. 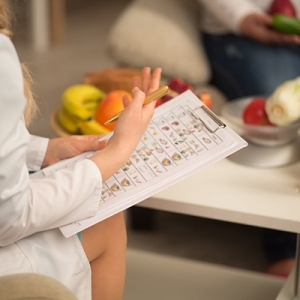 The nutritionist serves liaison between the medical team and patient to translate nutrition goals for the best possible treatment outcomes. Their primary role is to work with the team to identify patients who are at high risk for malnutrition, or significant weight loss, and to work with those patients to maintain their nutritional status during treatment. They also aid with tube feeding, nutritional supplements, diet education, community activities, and counseling. Counseling is an integral element of Oncology treatment. Diagnosis of Cancer is devastating for patients as well as families. 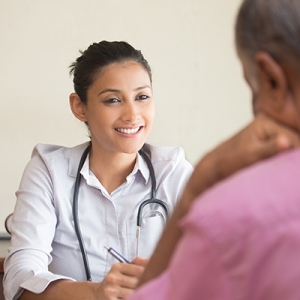 Patients have a whole plethora of queries in their minds pertaining to their diagnosis, treatment , follow-ups and survival, changes in their life, their life after cancer, their relationship with their spouse, children, work relationships, finances etc. Patients do speak to their doctors as well as Nurses, but someone who can understand each phase they are going through is a Counselor. A counselor is trained to listen to the patient and the physical, mental, emotional and spiritual problems that he might face. Many times, in pediatric cases, for instance, the family members need to be counseled more than the patient himself. A lot of it also influences the compliance to the treatment. At Onco-Life Cancer Centre, the counseling department plays a key role in integrating patients with their relations, care providers as well as people with a similar disease.